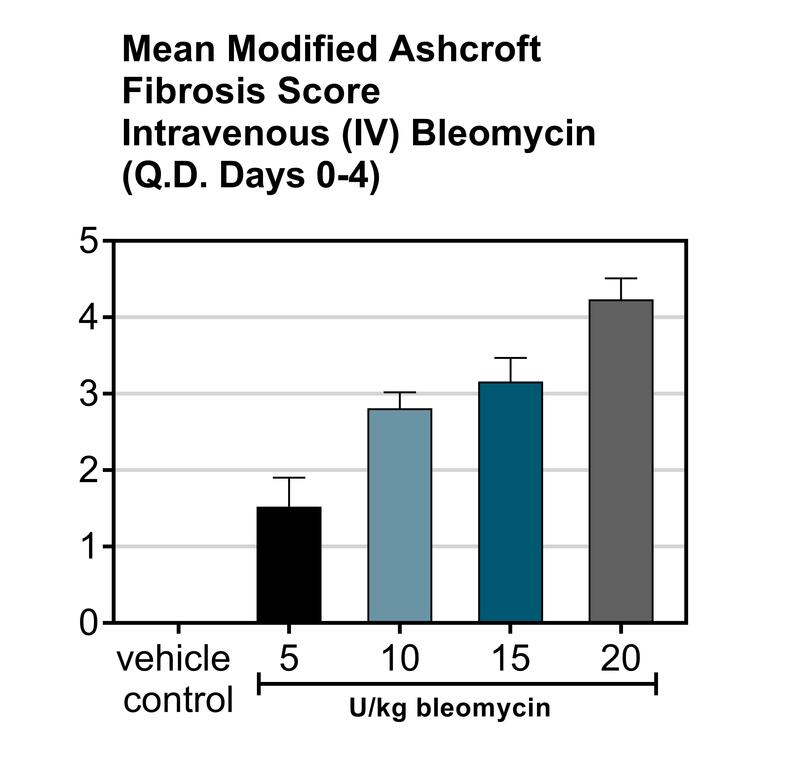 Idiopathic pulmonary fibrosis is a lethal lung disease characterized by the progressive formation of fibroblasts, accumulation of extracellular matrix and decrease in pulmonary function. Current treatments include corticosteroids and other immunosuppressants, but they have limited success. 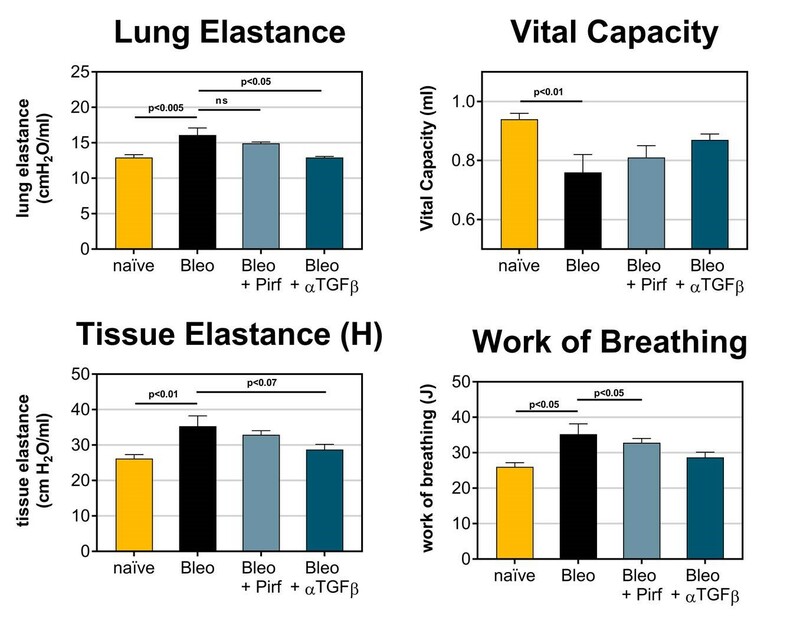 It is believed that antifibrotic agents may have the capability to impede the progression toward chronic pulmonary failure. 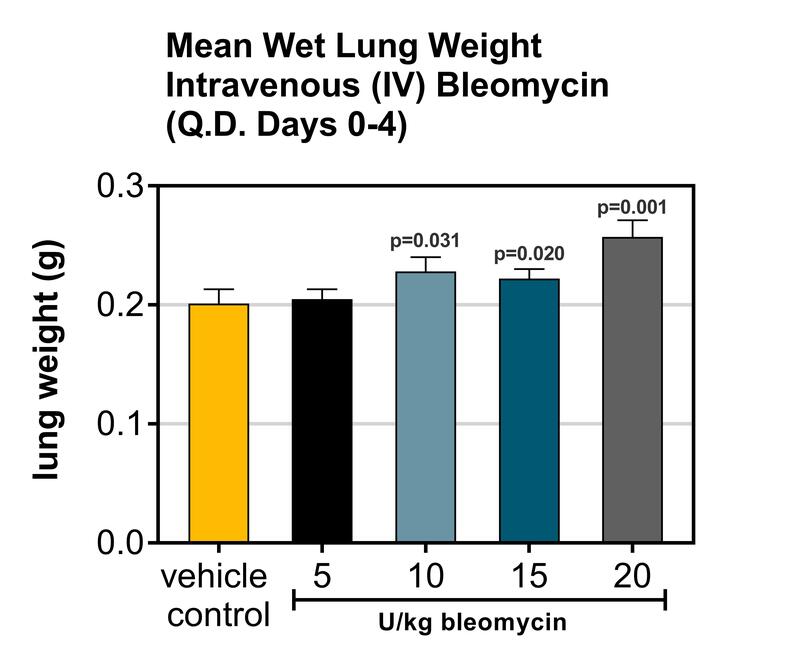 The bleomycin-induced pulmonary fibrosis model is the standard model of human lung fibrosis. After being anesthetized, animals have a cannula inserted into the trachea and down into the lungs and then bleomycin is slowly infused into the lungs. Animals are evaluated daily for body weight and respiratory status. 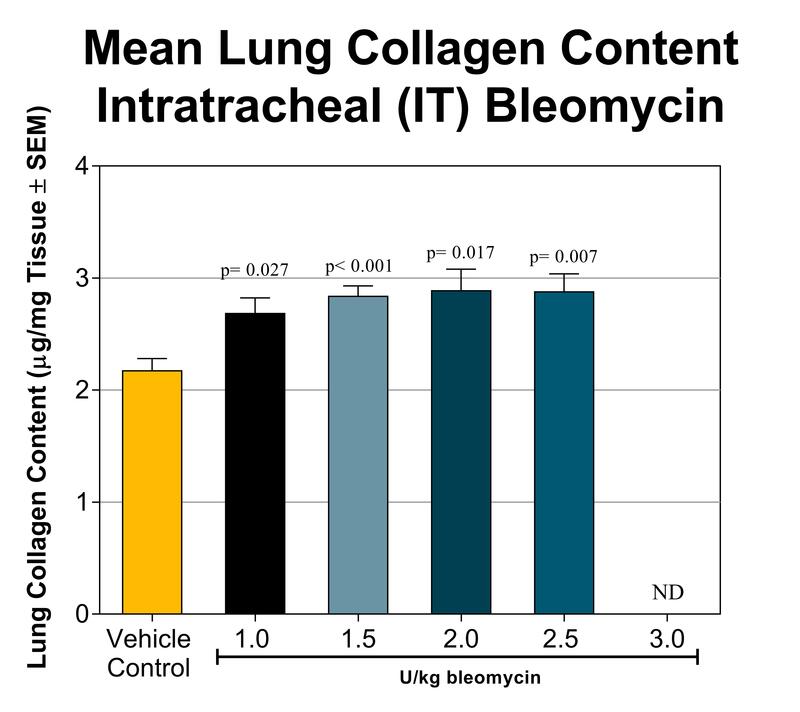 After animals are sacrificed, lung weight, collagen content and fibrosis scores are determined. 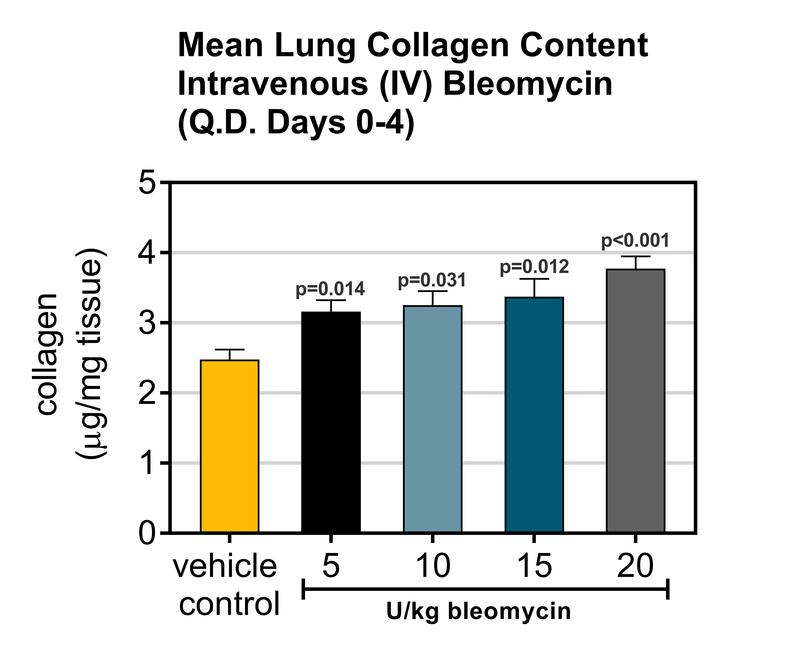 The bleomycin-induced pulmonary fibrosis model is the standard model of human lung fibrosis. Animals are given intravenous (i.v.) 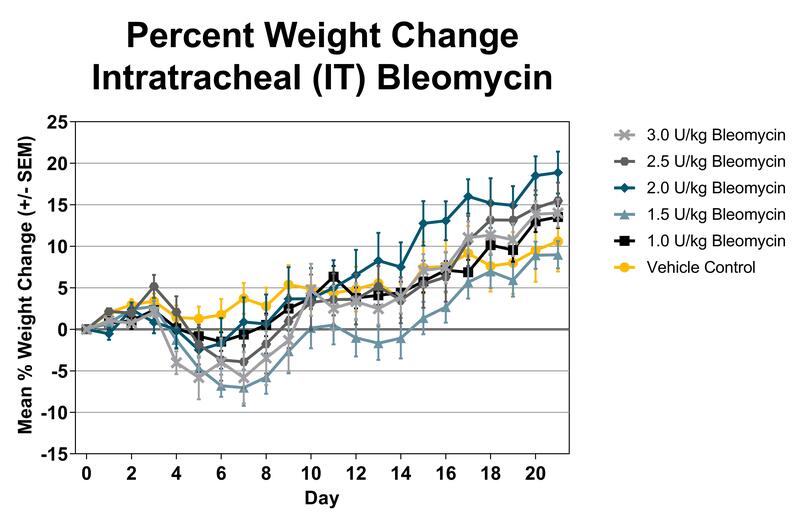 dosing with bleomycin for days 0-4 and are evaluated daily for body weight and respiratory status. 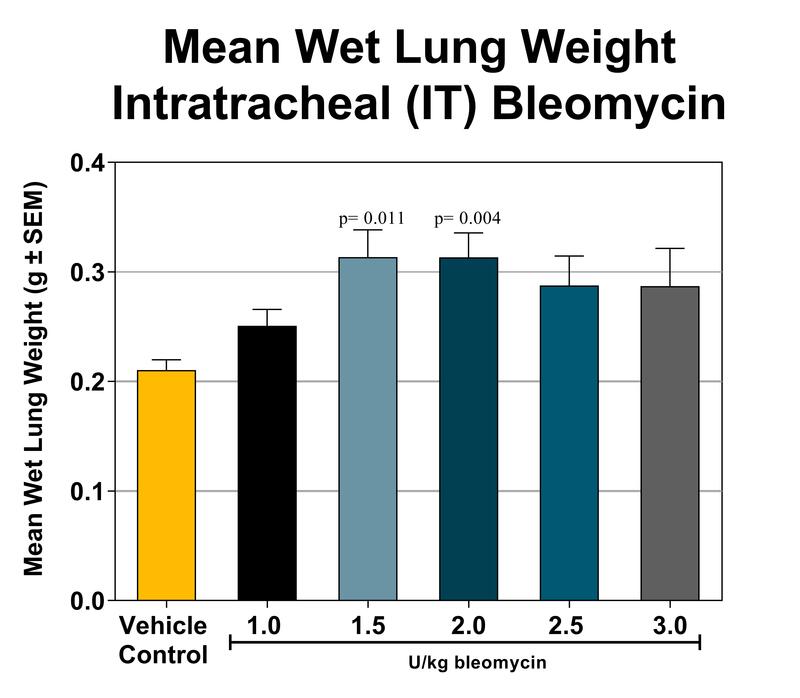 After animals are sacrificed, lung weight, collagen content and fibrosis scores are determined. TGFβ is added to confluent NHLF for 48 hours. Supernatants and cell lysates are collected for endpoint analysis. 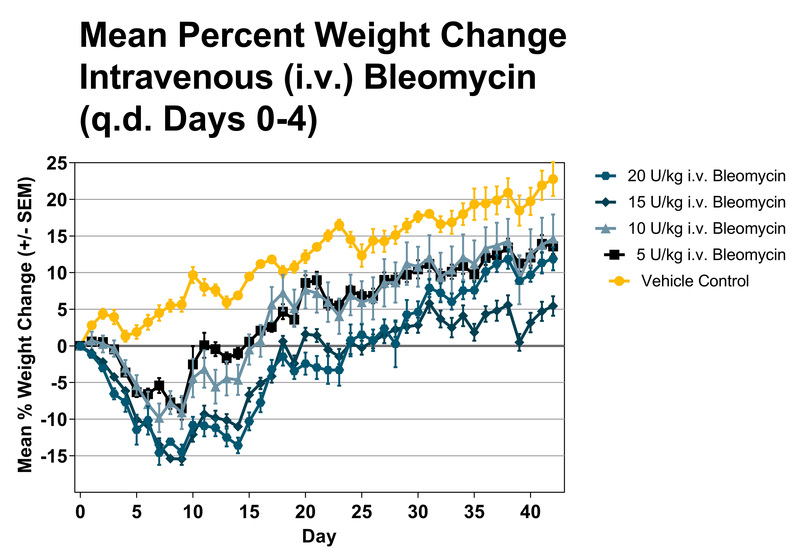 Protein levels of Procollagen type 1-C peptide (PIP) and Plasminogen activator Inhibitor-1 (PAI-1) are determined to evaluate progression of fibrosis. 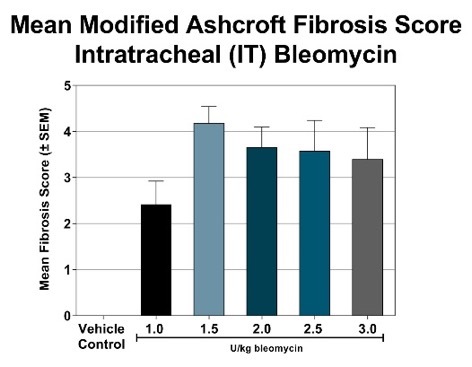 Additionally, alpha smooth muscle actin (αSMA) is measured to indicate myofibroblast formation.